Distributeur en parapharmacie de produits santé bien-être, concepteur de produits innovants de santé | Laboratoire Horizane Santé. Horizane Sante’s goal: to innovate and answer customers’ needs through the pharmacies, our partners for more than 20 years. Horizane Santé laboratory is a parapharmaceutical laboratory that designs, develops and distributes wellbeing and health products. Our company wishes to answer the market’s needs with innovating products at the best quality/price ratio for the final customer, counting on the professionalism of pharmacies. Horizane Santé is a multi-function parapharmaceutical laboratory: we design and distribute an exclusive offer of parapharmaceutical products. Horizane, “health through beauty”! The story started back in 1995, when Thierry GEETS, a doctor from the pharmaceutical industry, created Horizane Santé. At the very start, Dr Thierry Geets realized many people suffering from presbyopia had problems to easily find affordable “reading glasses”. He then decided to create his first collection of qualitative and colorful reading glasses and offered the distribution of the range to health professionals, pharmacies and parapharmacies. Sun glasses followed right after this success, in 1997. Innovation has been the motto of Horizane Santé Laboratory for more than 20 years. Both innovation and customer’s satisfaction are a part of Horizane Santé DNA. Given the success of the reading glasses collection with health professionals and final customers, Dr Thierry Geets decided to widen Horizane Santé’s range by offering additional technical parapharmaceutical products for health through beauty. 2001: Horizane develops an economic and hyper hydrating multi-function solution for soft lenses care. VITALENS® range offers 6 different sizes. MAGIC EYES® soft lenses together with HYDROLARM® have joined VITALENS® since then to build a strong Contactology range. 2006: Horizane starts distributing Jordan® dental care products, well-known for its technical and educative kids collection of toothbrush. 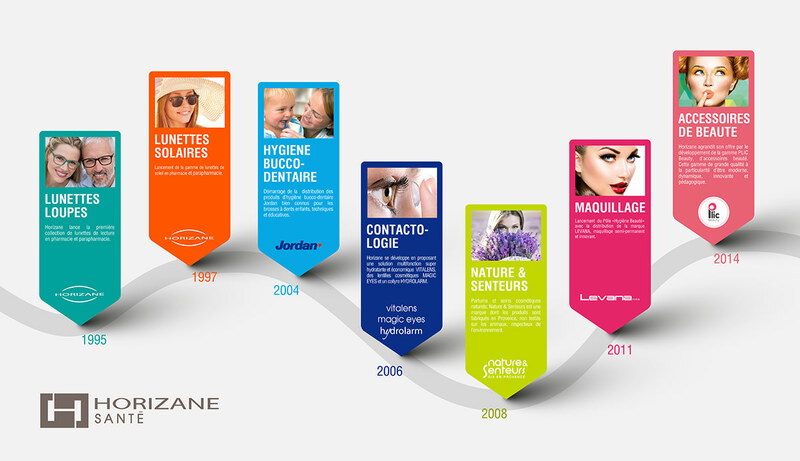 2007: launch of the «Hygiene and Beauty» range with PANAME®, beauty accessories, and LEVANA®, semi-permanent and innovating make-up. 2008: located in Aix-en-Provence, Horizane decides to continue the activity of a brand, NATURE & SENTEURS DE PROVENCE®, discovered on the edges of the Durance river. Horizane develops a great range of natural products respecting ancestral traditions. Today, the success of NATURE & SENTEURS DE PROVENCE® is representative of the success of the Provence region itself. 2011: the ever increasing activity offers encouraging perspectives of development. Both in France and abroad. 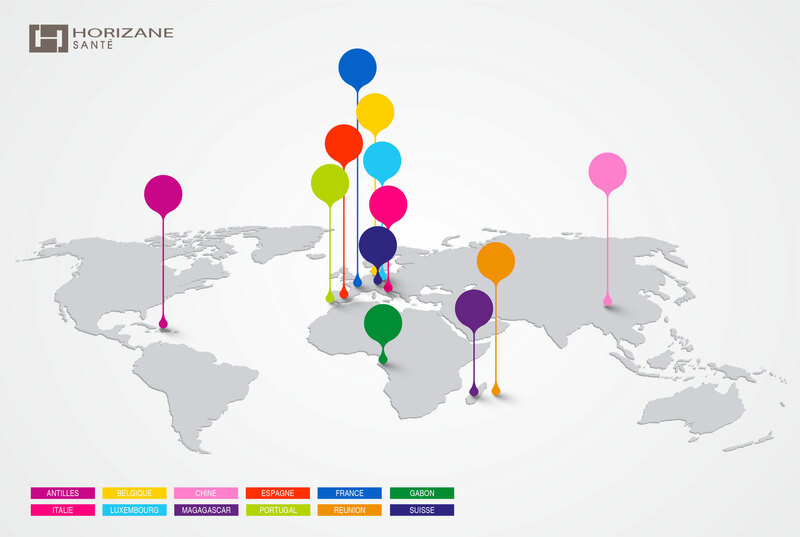 Partnerships with distributors in France and in the French overseas territories and departments allow Horizane to adapt itself to the specificities of each market. 2014: PLIC® Beauty, a range of beauty accessories, is created. This top quality range is modern, dynamic, innovating and educational. Horizane Santé constantly keeps an eye on its customers. It continuously innovates and invests into new projects thanks to its Research and Development department.